Hyperdimension Neptunia developers Idea Factory held a press event yesterday and there were a few notable announcements. The most notable of those announcements (despite the fact I had not heard of this game) was the release date for Death end re;Quest (another game with a wrongly used semi-colon). The game is due to arrive on PS4 on Feb 19 in the US and Feb 22 in Europe. 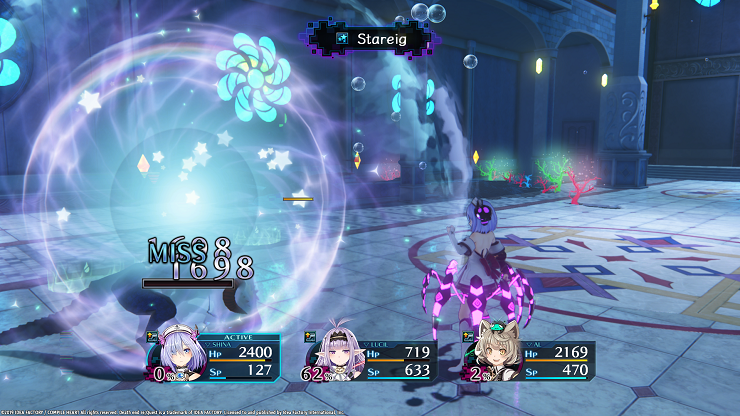 There’s also a new trailer to showcase the Battle System elements. And finally Date A Live: Rio Reincarnation. which is part adventure game and part visual novel. This is already available on Steam, but is being released for the PS4 which some modified CG scenes. You can find more info through the official website.